SemCAMS’ new gas plant 40 kilometres south of Grande Prairie is now up and running. The company says its Wapiti Gas Plant in the Municipal District of Greenview started processing raw sour gas and sending it to market through the Nova Gas Transmission Ltd. Pipeline on January 27th. The plant has a total capacity of 200 million cubic feet of gas per day, of which 95 per cent is spoken for. Up to 120 million cubic feet of that is committed to NuVista Energy for 15 years and SemCAMS has another long-term agreement with the Canadian subsidiary of an unnamed large international oil and gas company for 70 million cubic feet of gas per day. Construction on the $300 to $350 million project began in the spring of 2017 and was expected take two years. SemCAMS says it was finished earlier than its original April 1, 2019 target and that costs were on budget. 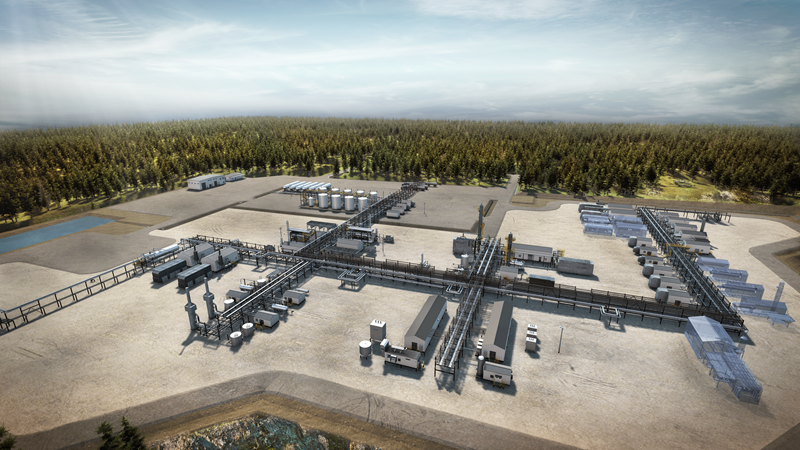 Last fall, SemCAMS also got approval from the Alberta Energy Regulator to build a 280 million cubic feet of gas per day sour gas plant in the Pipestone area. It will connect to the Wapiti Gas Plant through a pipeline currently under construction. The Pipestone pipeline is expected to start gathering gas in the fourth quarter of 2019.